The Stiga Tornado table tennis bat is for complete beginners and provides extra control to help encourage good play. This bat will be great for hobby and leisure use and it has a 5-ply blade with rubber 1.5mm (0.06”) thick. The beginner control bat has a straight handle. 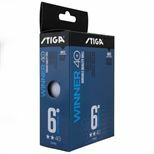 Save 50% on the Stiga 2 Star Winner Table Tennis Balls - Pack of 6 when purchasing this product! for submitting product information about Stiga Tornado Table Tennis Bat We aim to answer all questions within 2-3 days. 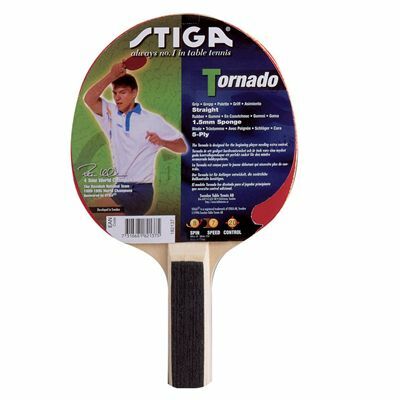 for submitting product information about Stiga Tornado Table Tennis Bat. We aim to answer all questions within 2-3 days. If you provided your name and email address, we will email you as soon as the answer is published. for submitting product review about Stiga Tornado Table Tennis Bat.